* Baker, Benjamin, Private, Co. E; Union Temple Church, Hopkins Co. Priv. Plot nearby farm of Henry Abbot in 1972. * Bristow, Frank H. , Captain,Co D; Elkton, Ky.
* Brooks, Jasper, Private, Co. C; b. 1/3/33, Fayette Co., Tn. * Brown, Christopher C., Private, Co. I, Fordsville Cem. 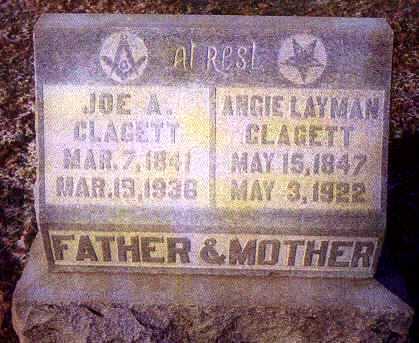 * Brown, John, Private, Co F, buried on the House Farm between Rosine and Dundee, Ohio County, Ky.
* Calvert, Wm. I., Private,Co D, d. 11/10/63, National Cem. Nashville, Tn. * Chapman, Garland C, Private, Co. C, National Cem. Mound City, Ill.
* Chew, Henry H, Private, Co. C, National Cem, Nashville, Tn. * Christian, Wm. E., Private, Co. K, d. 01/23/62, National Cem., Nashville, Tn. * Dean, Noah C., 2d Lieutenant, Co. K, Elmwood Cem, Owensboro, Ky.
* Farmer, Harvy H., Private,Co D, National Cem., Nashville, Tn. * Ferry, Hugh, Corporal, Co. F, d. 5/20/62 at Pittsburg Landing, National Cem. Nashville, Tn. * Fletcher, Thomas, Private, Co. E, National Cemetery, Andersonville, GA.
* Fruit, William H., Sergeant, Co. K, buried in Henderson, Ky.
* Fuller, John K, Private, Co. E, National Cem., Nashville, Tn. * Garey, Leonard, Private, Co. A,, National Cem, Nashville, Tn. * Gillstrap, Willis B., Private, Co. H, buried on Island near Memphis, Tn. * Graham, Corydon W., Private, Co. E, White Schoolhouse Cem., Hopkins Co., Ky.
* Hall, Columbus, Private, Co. I, National Cem., Marietta, Ga.
* Hamby, James T. M., Private, Co. G, d 5/15/62, National Cem., Pittsburg Landing, Tn. * Hamilton, John J., Private, Co. F, d 4/14/63, National Cem., Nashville, Tn. * Harris, Fielding, Private, Co. I, National Cem., Marietta, Ga.
* Harrison, James, 1st Lt. B, Co A, Oak Hill Cem, Evansville, In. * Helsley, Mathias, Private, Co D, 4/4/62, National Cem. Pittsburg Landing, Tn. * Hensen, Jesse, Private, Co. C, 8/7/43 - 10/15/16, Bethel Church, Beech Grove, McLean Co.
* Howard, Cyrus A., Private, Co. F, d 12/13/62, National Cem., Nashille, Tn. * Huddleston,John W., Private, Co D, National Cem., Nashville, Tn. * Hughes, William, Private, Co. B, National Cem, Pittsburg Landing, Tn. * Jamison, John F., Private, Co D, d 7/7/62, National Cem. Mound City, Ill.
* Johnson, John L., Private, Co D, d. 5/27/63, National Cem., Nashville, Tn. * Jones, James H., Private, Co. H, 10/8/38 - 1/18/03, Brick House Cem, Beaver Dam, Ohio Co. Ky.
* Kennedy, John, Private, Co. C, National Cem, Pittsburg Landing, Tn. * Lee, William G., Private, Co D, d 3/29/62, National Cem, Pittsburg Landing, Tn. * Long, James P., Private, Co. G, d 3/5/62, National Cem., Nashville, Tn. * Matthews, Wm P, Private, Co. A, d. 6/14/64, National Cem. Marietta, Ga.
* May, Charles W., Corporal, Co. G, National Cem, Marietta, Ga.
* McKnight, Daniel L., Corporal, Co. G, National Cem., Marietta, Ga.
* Murphy, Cornelius, Private, Co. E, d. 2/18/62, National Cem, Nashville, Tn. * Patterson, Henry, Cpl, Co I., d 4/13/62, National Cem., Pittsburg Landing, Tn. * Pollard, James H. Private, Co A, 17, d 1863, Pleasant Grove Baptist Cemetery, Fordsville, Ky.
* Ragland, Moses S , Corporal, Co. B, 1/26/4 - 9/12/12, Rosine Cem, Ohio Co.
* Reynolds, Edward, Private, Co. C, 8/15/64, National Cem, Nashville, Tn. * Rial, Philip, Pvt, Co. F., Oakwood Cem, Hartford, Ohio Co., Ky.
* Rice, Napoleon B., Private, Co D, d 2/21/63, National Cem, Nashiville, Tn. * Settle, Joseph H. , Corporal, Co. G, k 5/31/64, National Cem., Marietta, Ga.
* Shingler, John J., Private, Co. K, dw 6/20/62, National Cem., Marietta, Ga.
* Sips, Nathaniel, Private, Co. H, dd 4/19/62, National Cem., Pittsburg Landing, Tn. * Simpson, Robert, Private, Co. H, 6/21/1841 - 6/29/1923 Leach Cemetery in the community of Arnold, Ohio County. * Smith, Ebenezer H., Private, Co. E, dd 2/63, National Cem, Nashville, Tn. * Stanley, James O., Private, Co. E, dpw 6/14/64, National Cem, Andersonville, Ga.
1st Lt. William Henry Taylor, Was originally a member of the Cromwell Home Guard. Buried in Ohio County near Sandefur's Crossroads at Brick House Cemetery. * Tucker, Robert, Private, Co. G, d pw. 8/29/64, National Cem, Andersonville, Ga.
* Tuttle, James F, Private, Co. A, dd 9/16/72, National Cem, Nashville, Tn. * Wall, William B., Major, F&S, Elmwood Cem, Owensboro, Ky.
* Waltrip, James J., Sergeant, Co. C, dw G6/7/64, Marietta, Ga.
* West, Wm. H., Corporal, Co. G, d 7/3/64, National Cem, Nashville, Tn. * White, Samuel R., Private, Co. G, dpw 8/26/64, National Cem, Andersonville, Ga.
* Wilkins, Charles W. , Corporal, Co D, dw 6/9/64, National Cem, Marietta, Ga.
* Wilson, Thos. B, Private, Co. A, 9/15/38-7/18/04, Boyd Cem, Horse Branch, Ohio Co.